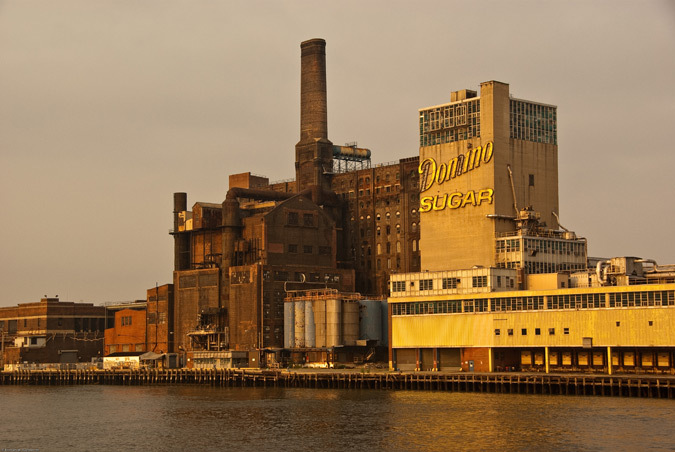 The Domino Sugar factory on Brooklyn's East River. As the development story of Brooklyn’s Domino Sugar refinery continues to unfold, it appears to have all the flawed heroes, hubris, and possibly catharsis of a real urban drama. The project’s lead, Community Preservation Corporation Resources (CPCR), has lost a top-level leader, defaulted on major loans, and now is being accused of betrayal by a former partner: The Katan Group, CPCR’s development collaborator at Domino, has filed a lawsuit amid reports that CPCR was looking to sell part or all of the 11-acre property without Katan’s knowledge. 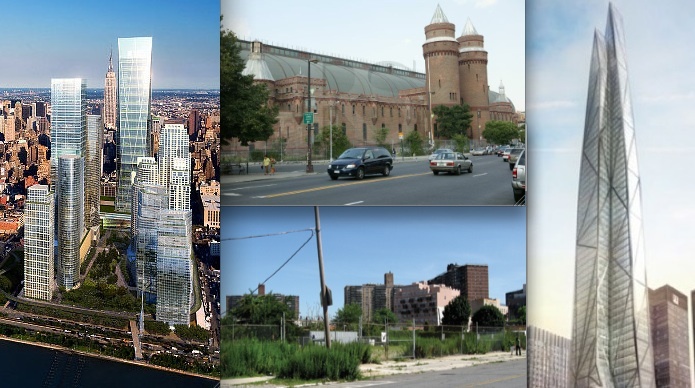 CPCR is the for-profit arm of Community Preservation Corporation (CPC), a nonprofit consortium of banks established in 1974 to help fund affordable housing projects in the New York area. Its counterpart, CPCR, was founded in 1992 so that the group could act as a proactive developer as well as an investor. 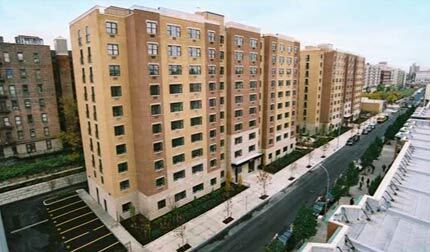 Other affordable housing developers, such as Enterprise Community Partners, operate simultaneously as both nonprofit and for-profit; however, one big difference, said sources familiar with the corporate structure, is that at CPC-CPCR, both its nonprofit and for-profit branches are directed by the same person. Until last November, that was Michael Lappin, who abruptly retired after 31 years with CPC. 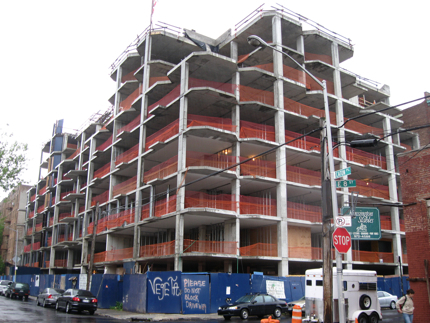 In January, Lappin’s post was filled by Rafael Cestero, former commissioner of New York’s Department of Housing Preservation and Development. The rezoning succeeded at the Land Use Committee yesterday with one small change: the empty lot at right could become either affordable housing or a park. Pfizer looms in the background. 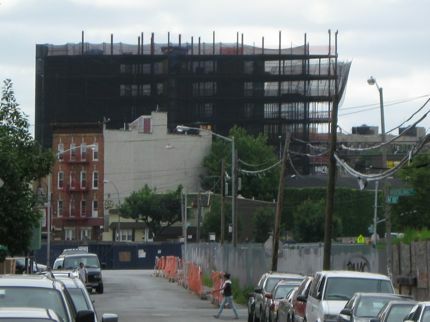 After decades of neglect and an epic community battle, the 31-acre swath of north Brooklyn known as the Broadway Triangle may finally be taking shape. At a hearing today before the City Council’s land-use committee, councilmember Diana Reyna—whose district borders but does not include the Triangle—came within one vote of convincing her colleagues to scuttle a long-simmering plan to rezone the area. But with the plan’s passage by a vote of 12–6, the rezoning will likely succeed on Wednesday, when it goes before the full council for a vote. The city’s Department of Housing Preservation and Development took the lead on rezoning the Triangle, as it controls a number of city-owned sites that will be turned into affordable housing when the plan goes through. 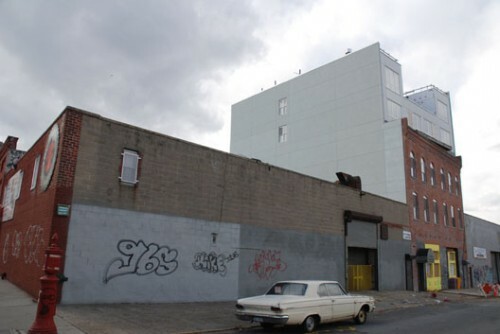 Those sites, however, have become a flashpoint for the plan, as two politically connected groups, the United Jewish Organizations of Williamsburg and Ridgewood Bushwick Senior Center Council, were selected by the department as the sole developers of city-owned land. 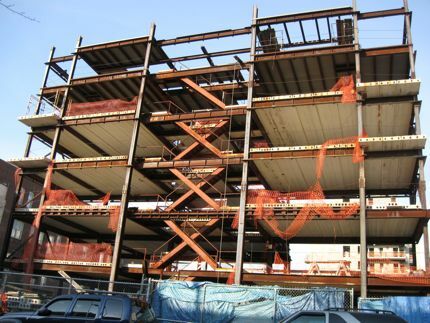 Their projects will create roughly 650 units of affordable housing, while another 250 are expected through the inclusionary zoning program, which provides developers incentives to make 20 percent of their projects affordable. 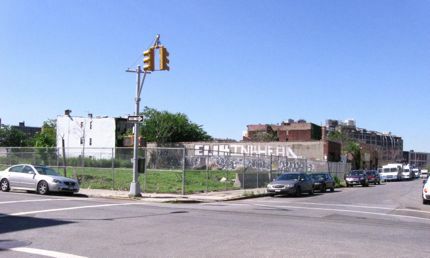 Forty community groups from the Black, Latino, and Jewish communities joined together to oppose the plan, also taking issue with the exclusion of residents from a neighboring community board, across Flushing Avenue, the southern boundary of the Triangle, which is bounded to the north by Broadway and to the west by Union Avenue. With the help of former planning commissioner Ron Shiffman and students at the Pratt Institute, they devised their own plan that called for a much higher density in the area, creating three times as much affordable housing, though the plan was deemed out of context by Community Board 1, which reluctantly supported the city’s plan. “There were a lot of passionate views on all sides,” Daniel Garodnick said in an interview after the vote. “But ultimately, I voted on the considerable merits of the plan, of the many affordable housing units, and that was meaningful to me.” Gardonick did echo complaints about process, chastising the city for selecting its developers behind closed doors. A small modification was made to the plan, allowing for more open space on a city-owned site, which the community had been clamoring for, but it is at the cost of 45 affordable housing units, also in desperate need. 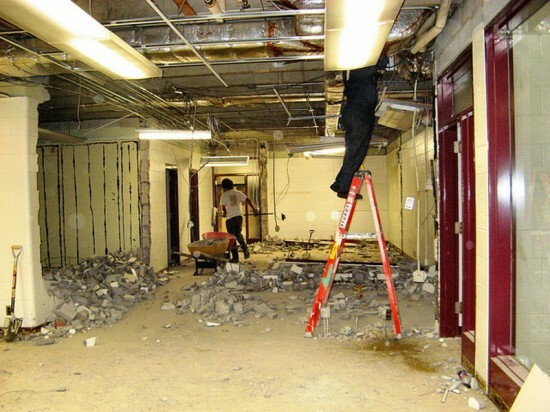 "We are well below average in both areas," Reyna complained. "This is no plan at all." 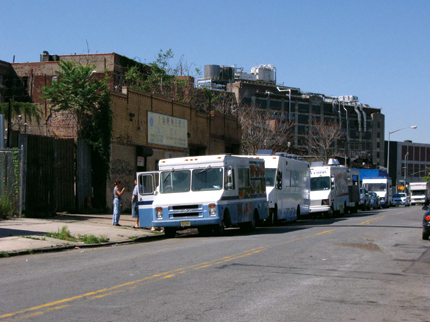 The Broadway Triangle looks like countless other stretches of North Brooklyn, a mix of machine shops, walk-ups, and vacant lots seeded among the bistros and luxury condos that have moved in over the last decade. The area, surrounded by communities of Latinos, African Americans, and Chasidic Jews has seen its fair share of conflict, but a new battle has broken out, some say more rancorous than all those that have preceded it, and it is a battle over a rezoning. “It’s like the last open piece of Oklahoma Territory,” a local developer told AN during a contentious community board hearing in July. Bounded by Broadway, Union Avenue, and Flushing Avenue, the Broadway Triangle was 22 blocks of failing industrial uses that in 1983 was made an urban renewal area in an effort to revive it. 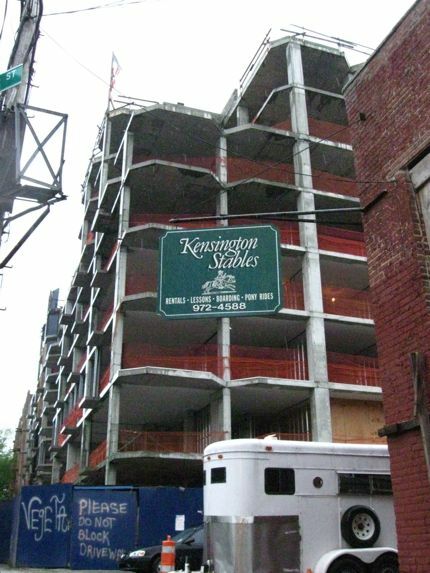 That plan never took off, and now the Bloomberg administration wants to rezone a nine-block slice at its heart for housing. The city's plan is in yellow, with the two city-owned sites in black. The coalition plan is bounded by the blue box. The city’s plan, which is being developed by the Department of Housing Preservation and Development, paves the way for 1,850 new apartments, 905 of which will be designated for affordable housing. Two city-owned sites will be wholly dedicated to affordable housing, while the rest of the rezoning is open for developers to build higher in exchange for additional affordable housing in accordance with the inclusionary housing program. 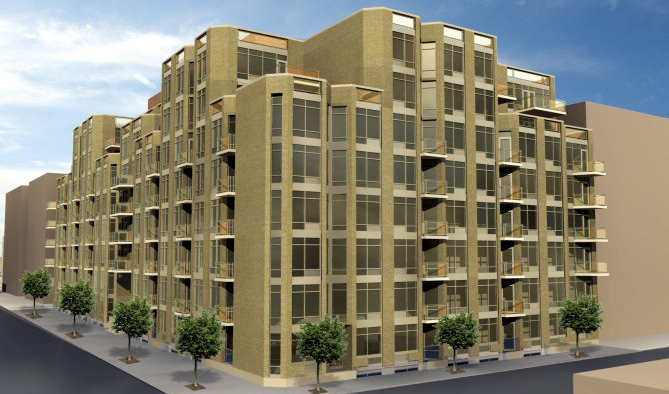 Low-rise, contextual zoning has been promised. 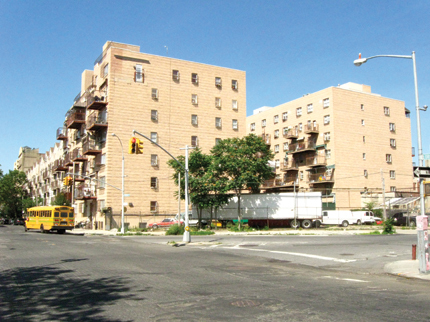 The plan has won begrudging support from the local community board and the borough president, as well as a thorough examination from the City Planning Commission at a September 9 hearing on the plan. 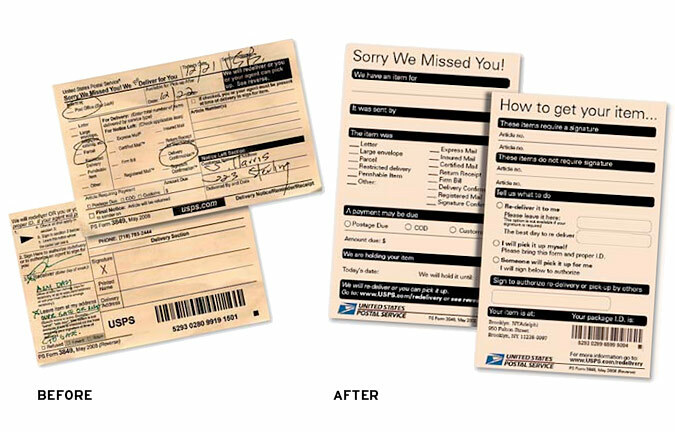 A final vote had been expected for this Wednesday, but it is now scheduled for October 19. The main criticism of the plan has had less to do with the plan itself than with the way it was conceived unilaterally by the department. Who will develop the two city-owned sites is of particular concern. And a coalition of more than 40 local groups from across the neighborhood has formed to look into these matters. The city wants to evict a handful of indigenous businesses, such as this cart servicing company, to make way for affordable housing. The Pfizer factory looms in the background. “There has never been this kind of support from so many peoples—Latino, Jewish, and black all coming together to fight for a single cause,” said Juan Ramos, director of the Broadway Triangle Community Coalition. The group’s chief complaint is that they have had no involvement in helping craft the city rezoning, a break from precedence whereby community involvement in planning has been extensive. There are also concerns about access to the affordable housing, since two politically connected organizations have already been tapped to develop the city-owned sites. 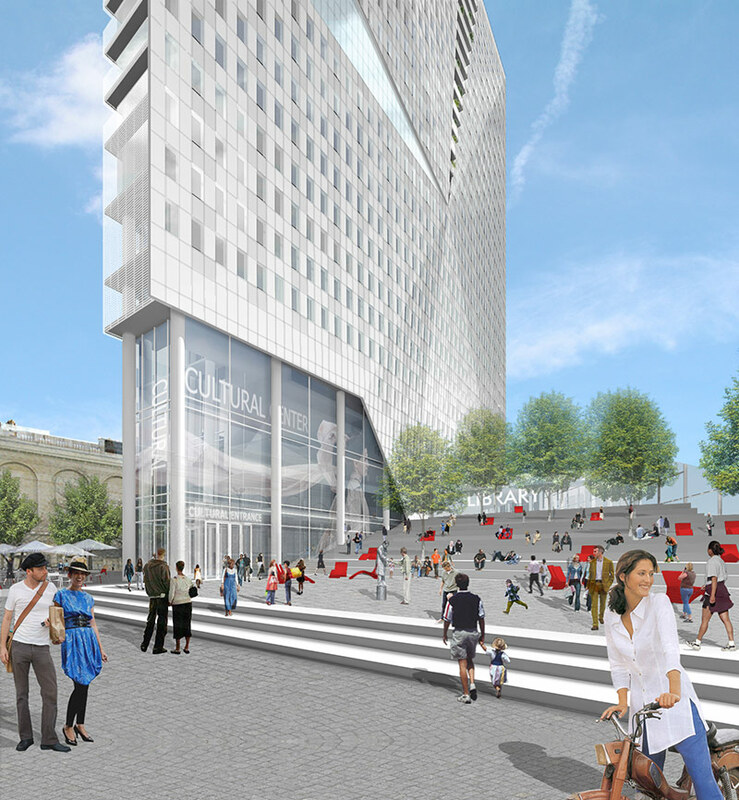 The coalition reached out to the Pratt Institute to devise its own plan, where students under the direction of former planning commissioner Ron Schiffman created a proposal whose scope reaches well beyond the bounds of the city’s work, and even the nine-block site. 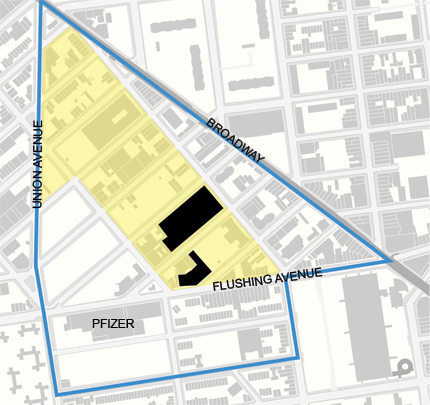 The coalition’s plan encompasses the entire urban renewal area, including the defunct Pfizer pharmaceutical plant that the group wants to turn into a manufacturing incubator. It also calls for housing across a range of densities—including buildings as tall as nearby public housing towers. 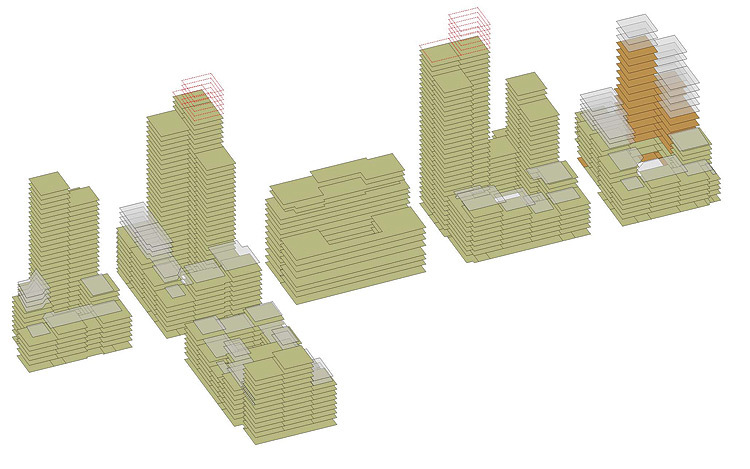 With height, the plan can provide three times as much housing and five times the affordable housing units. “We can’t reach our sustainability goals or our affordability goals without density,” Shiffman said. 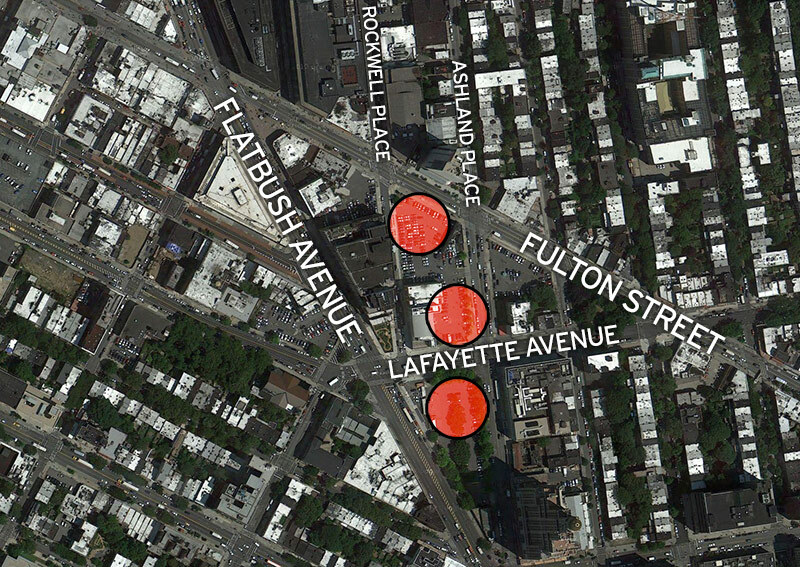 Some critics contend the city's plan does not create enough affordable housing and that the area, once rezoned from industrial to residential, will be overrun by the same Chasidic enclaves that ring the Triangle. 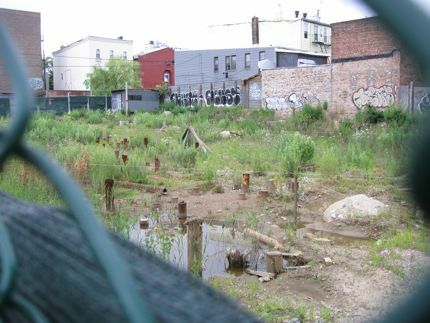 While the coalition’s plan is unlikely to succeed, it has highlighted deficiencies in the city’s plan that the community board now wants addressed, such as increased open space and the inclusion of residents from Bed-Stuy and some extant industrial businesses. The Department of Housing Preservation and Development also drew a lashing from the board for its handling of the planning process.